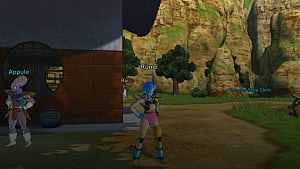 Everything takes place more or less in Conton City in Dragon Ball Xenoverse 2. This does not mean there is not much content -- in fact, there is quite a lot of it. There are many events, and 5 rifts in time for you to do multiple quest lines. There are shops, instructors, and more in Conton City. 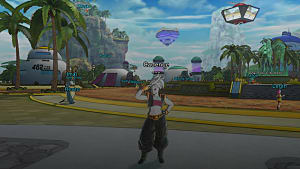 So I'm going to explain everything in the city to give you a better understanding at of the world of Dragon Ball Xenoverse 2 and what you can do. Patroller Academy - What it does and why it is important. Instructors - What you use them for. Recreation Plaza - Everything you can do here. Time Rift Locations - What they are and why they are important. Events - What the random events that pop up do. Time Nest - What you can do here. Time Machine - What you can do here. You will come here early in the game to learn from Krillin. 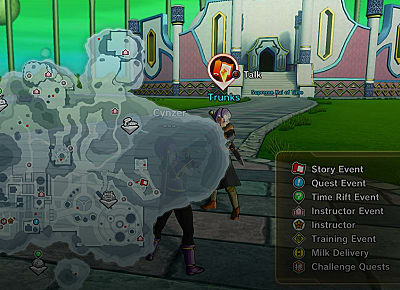 This is also where you can complete training missions that teach you advanced techniques in the game. I highly recommend doing most if not all of these missions because they do a good job at teaching you. As you train with other instructors (more on that later), you will also be able to complete advancement mission to raise your training level. Passing these will unlock more missions for your instructors and more instructors in general. Once you choose someone to be your instructor, they will also start appearing here instead of their original location. Instructors are what Mentors were in the last game. You can learn certain moves from all the instructors in the game. As you progress through the game and the academy, you will unlock more. This time around, you don't need to choose someone to learn their skills, you can learn from all instructors you have unlocked without switching. Check out my Instructor guide for full details. This is where nearly all the shops are located. Item Shop - This is where you can buy battle items and Super Souls. Skill Shop - This is where you can buy skills for your character to use in combat. Mixing Shop - This shop sells items you can mix together to make other items. This is also the place you must go to mix them. TP Medal Shop - This is a special shop that is only open from Friday-Sunday and sells rare items from multiple categories. They only cost TP Medals, so save up. There is also a Timespace Delivery located here. You can send and receive gifts from this others at this location. These are the floating areas in the city. Until you unlock flying, you can only get there by talking to a Transfer Shop clerk and picking the location to teleport to. Here you can complete challenges for Hercule to receive Zeni, the game's main currency. You can also do a quest line with Great Saiyaman, Great Saiyaman 2 and Jaco. If you are an Earthling, you will unlock the Power Pole Mode transformation. This is where you can feed Buu food, and he will make a new family member every time he gets full. You will see a bar at the top when talking to him that shows how close you are to making him full. Each family member can be given food, which will make them go for a walk. When they return, usually after a mission or 2, they will give you an item. Each color will give a certain type of item. If you are the Majin race, you can learn the Pure Form transformation. 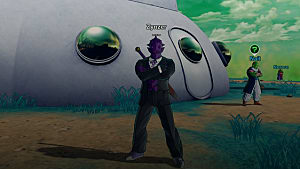 This is the taken from Planet Namek and has 2 types of things you an do. The main thing is doing missions for Nail. These all involve collecting Dragon Balls. When you complete enough for them, you will get taken to see the Guru. This will unlock your potential and allow you to raise all your stats to 125 instead of 100. If you continue to do the missions after that, you will unlock more wishes for Shenron when you collect 7 dragon balls. 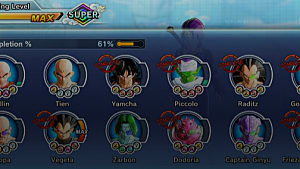 You will also be able to unlock the Giant mode transformation if you are a Namekian. The other thing you can do here is help a Namekian grow his garden. He will ask for certain items, give them to him and wait. After doing a mission or 2, return to him for an item reward. 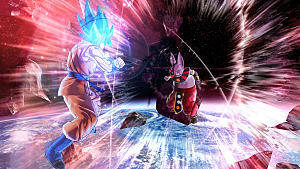 Here you can do sparring missions with Vegeta. 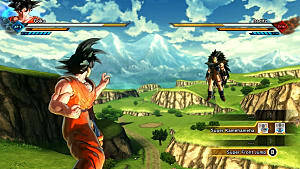 If you are a Saiyan, you will also unlock Super Saiyain transformation by continuing to spar with him. This is also where you can make QQ Bangs. These are items created by fusing 2 pieces of clothing together. The resulting item will have different stats and will override your equipped clothing when you equip the QQ Bang. It also multiples each stat increase by 4 to make up for the 4 equips it is ignoring. Check out my guide on QQ Bangs for a full explanation and tips. 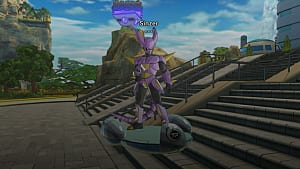 Here you can join Frieza's Force and fight your way up through the ranks. You will choose at some point to side with either Zarbon or Dodoria, but the final outcome does not change. The end puts you with Frieza and will unlock his Golden form. If you are the Frieza Race, you will be able to unlock Golden transformation for your character. There are events that periodically pop-up that give rewards. You can also go around and talk to people that have question marks over their heads. Many different things can come from this such as extra missions and free rewards. These involve delving milk to certain people around the city, then returning to Krillin in the Business district next to the accessory shop. You will get milk as a reward, which is a food item. the faster you do it, the more you get. If you drop any during the mission, you fail and have to do it again from the beginning. If you get the timing right, you can press the A/X button to speed up your skipping. When this event comes up, head to Kame house and talk to Yamcha. He will throw and item, or multiple items, for you to find in the city. The faster you find them, the better your reward. This is where the main story missions take place. You can also redo any story missions you have completed. You can also come here to give the Supreme Kai of time any Distorted Time Eggs you find. You can get these by completing the quests in the Time Rifts. If you collect all 5, you will gain extra story missions and the Future Super Saiyan transformation after completing the story. This is where you can do versus matches and complete Parallel Quests. All PQs can be done offline or online with 2 other people. PQs can unlock many abilities, items, and clothing. As you continue through the story you will unlock more PQs. You will also see blue quest markers on the map. Complete these to unlock more PQs. That's all for my guide on Conton City in Dragon Ball Xenoverse 2. Let me know if you have any questions!